At New Orchard Dentistry, we know the key to you taking care of your smile is you enjoying your dental care! That’s why we offer a warm, welcoming, fun office where patients of all ages can have a pleasant experience as they receive the dental services they need for long-lasting smiles. Our team invests time into each and every patient, giving them the tools and resources they need to keep their teeth healthy, strong, and beautiful for a lifetime. Come visit our West Bloomfield Township, MI office and see for yourself the difference that elevated dental care makes! When you choose New Orchard Dentistry, cleanings and exams are like none you have ever experienced before. We understand that getting your teeth cleaned isn’t always enjoyable at other offices, but here, it is. 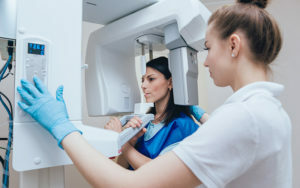 While we are thoroughly removing plaque and tartar from your smile and examining it for signs of potential cavities, gum disease, or oral cancer, you can take advantage of our state of the art technology. Enjoy a virtual reality tour or a laser light show on the ceiling, listen to music, or enjoy a massage in our massage chair. Or, you can opt to just have a pleasant conversation with one of our friendly hygienists. Your smile will be clean and polished in no time! 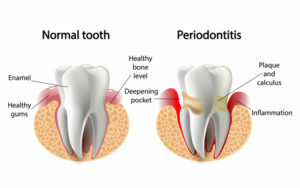 Periodontal care refers to the care of the surrounding tooth structures, including the gums. When plaque and bacteria collect beneath the gum line, it causes inflammation and infection. When left untreated, gum disease can result in periodontitis, a condition that often causes tooth loss and affects your overall health. People with certain medical conditions and pregnant women are more at risk of gum disease. We protect every patient’s smile by checking for symptoms of gum disease during exams. We clean beneath the gum line through a procedure called scaling and root planing when needed to prevent further infection. Our team will also provide advice as to how you can better take care of your gums and smile at home. TMJ stands for temporomandibular joint (TMJ) dysfunction. The TMJ is the joint that connects the jaw to the skull. 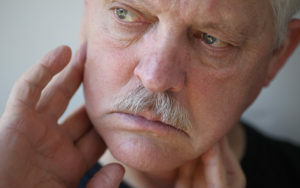 Symptoms of TMD include clicking, popping, or soreness around the jaw. It can also manifest in ear aches, neck pain, teeth grinding, and headaches. 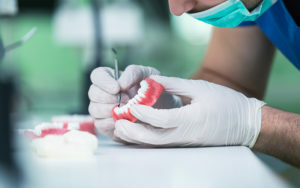 We work with our patients to diagnose this condition and provide customized bite guards. These guards, which are worn during sleep, help prevent teeth grinding. Relaxation techniques can also reduce the stress that can result in teeth grinding and TMD symptom flare-ups. Because TMD is often caused by a misaligned bite, orthodontic work can help provide long-term relief. Sometimes, standard brushing and flossing is no match for discoloration. Consuming coffees, teas and colas, as well as certain medications and smoking, can all contribute to a yellowed smile. We offer Zoom! 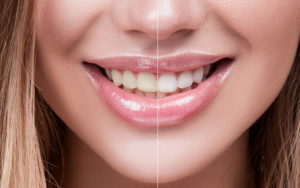 in-office teeth whitening, which will drastically whiten your smile in just one visit! 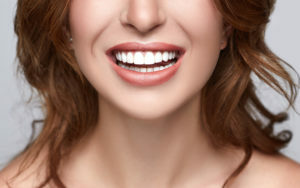 For those who would rather whiten at home, we offer custom whitening trays and bleaching gel you can use to whiten your teeth over a period of two weeks. Both methods are more precise, safe, and accurate than over-the-counter whitening treatments. No matter your age, it is never too late for orthodontic treatment! A misaligned smile not only affects your confidence, but it can also cause a wide range of dental health issues, including gum disease, cavities, and TMJ dysfunction. At New Orchard Dentistry, we offer Invisalign® clear aligners to help patients achieve straighter, healthier smiles. Schedule a consultation to determine if Invisalign® is right for you! With veneers, your current teeth act as the foundation for a drastically improved smile. Veneers are thin, wafer-like porcelain shells that are simply bonded onto the front of the teeth. They can be used to completely disguise chips, gaps, or cracks in the smile, as well as to improve the uniformity of tooth length or shape. Your veneers are customized to achieve your desired results and to blend in seamlessly with the smile! Endodontics refers to root canals. A root canal is necessary when a tooth is broken yet can still be saved, or when it has an infection that has penetrated to the nerve. Although many people believe root canals are painful, with modern dental practices, they are nearly painless, and they help relieve the toothache that stems from trauma or decay. 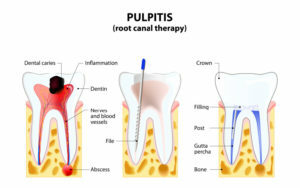 During a root canal, we remove any infected pulp, disinfect the inside of the tooth, seal it for protection, and restore its strength and appearance with a crown. A missing tooth no longer has to impact the health and appearance of your smile. Dental implants are permanent tooth replacements. 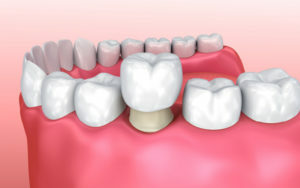 The implant is a titanium post that we surgically insert into the gums to serve as the “root” of the artificial tooth. The post is given time to fuse to the jawbone, creating a sturdy, secure foundation for a crown restoration. Because the implant mimics the structure of a real tooth, it prevents shifting of surrounding teeth, difficulty chewing and speaking, and other complications of missing a tooth. Implants can be used to replace one tooth or multiple. They can also be used to hold bridges or dentures in place. However, not all patients are good candidates for implants. You must be in good health and have strong, sufficient jawbone. During a consultation we can work with you to determine if dental implants are right for you. If not, we will discuss other options for providing you with a full, complete smile! A crown is a porcelain, tooth-colored cap that is placed over a tooth that is broken or has undergone a root canal, to restore its strength and appearance. It is also used to restore a dental implant. 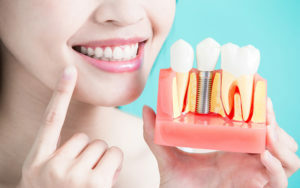 A bridge is another tooth-replacement option, which connects an artificial tooth to crowns that are bonded onto the teeth on either side of the gap. Unlike dentures, a bridge is permanently secured in the smile, and unlike a dental implant, a bridge doesn’t require surgery. For more information about our services, or to schedule an appointment, contact us today at (248) 865-0065. We look forward to helping you achieve a healthy, strong, beautiful smile for life!